The macadamia nut tree goes back to Australia and it was introduced in Kenya between 1945 to 1948. In Kenya, macadamia grows in the same climate suitable for growing coffee. The macadamia nut trees remained almost totally unknown in Kenya until after independence in 1964 when a Kenya farming family, Bob Harries and Peter Harries started multiplying the trees in a seedling nursery, planting them on their farms and selling some to other interested farmers. In 1969 -1971 Bob Harries Limited, a company founded by the late Robert Harries initiated a campaign to sensitize the Kenyan Government to commercialize macadamia nut growing and establish processing and marketing the edible nuts. The Kenya Nut Company Limited was formed in 1974. This company was appointed by the Kenya Government to spearhead and invest in the development of the macadamia nut industry in Kenya. The tree thrives best at 0-2000m attitude and grows to 9-20m a height and 45 cm diameter (dbh-diameter at breast height). The tree also grows best in areas with mean annual temperature of 15-29 Deg C. and mean annual rainfall of 700-2600 mm. It also requires well-drained soil which is fertile red loams or alluvia derived largely from basic igneous rock such as basalt with a pH of 5.5 to 6.5. Macadamia trees also doesn’t tolerate water and soil with high salt concentrations. They are well-drained loams and sandy loams with good organic matter content. The most popular varieties grown in Kenya are Macadamia integrifolia and Macadamia tetraphylla. The Macadamia tetraphylla is more adaptive to cooler climate and has rough-shelled bush nut while the Macadamia integrifolia has smooth nut surface and is adaptive to diverse agro-climatic conditions. In Kenya the two species grafts are used to produce a more improved variety which is now very marketable and in high demand. Macadamia Integrifolia is highly dominant in the commercial clonal production area. Hybridisation occurs freely between Macadamia intergrifoila and Macadamia tetraphylla. In Kenya the bulk of selections being currently grown is from such hybrids such as KIAMBU 3, KIAMBU 9 and 5, MURANGA 12 and 20, KIRINYAGA 1 and EMBU 1. More selections are being developed from the research programs in K.A.R.LO. Thika. In Kenya, it grows in high potential areas of Eastern, Central and Rift valley provinces. the propagator to have experience to make it successfully. It’s important to note that seeds of Macadamia tetraphylla are collected and seedlings raised from them since it’s recommended as a rootstock due to its resistant to different rootstock diseases. The best seeds for propagation are mature seeds which are not more than 4 months old. The best pretreatment is nicking or soaking in cold water overnight before sowing in a seedbed or in pots/polythene tubes. If sown in a seed bed then transplant the sprouted seedlings from the seedbed to polythene bags when they are 2 cm in height. These seedlings are good as rootstocks if one is to graft. Grafting is the only option to obtain good varieties of fruit in a short period. The rootstock to be used for grafting should be usually seedlings of 9-12 months old with at least a diameter of 1-1.3 cm. The scion wood is girdled (remove a narrow section of bark on about 80% of the circumference of the twig) about 6 to 8 weeks before grating to promote accumulation of carbohydrates. The recommended graft method is a top-wedge grafting or chip budding. Softwood cutting and air-layering is also possible as propagation method. The scion wood can be either, but M. integrifolia is preferred for the best nuts production while the recommended rootstock is M. tetraphylla for its resistant to diseases. It’s important to note that M. tetraphylla is resistant to both macadamia trunk canker and anthracnose, grafting cultivars of M. integrifoila onto root-stock of M. tetraphylla minimizes these problems. The grafted seedling takes 3-4 months to be ready for planting out in the farm. Seedlings are planting out in the field at a spacing of 9m x 9m or 10 m x 10 m or more if the trees are intercropped with coffee or any other crop e.g. maize; however if they are been planted as pure orchard, the spacing should be 4m x 10 m or 5 m x 10 m.
Macadamia is pollinated by insects, as most cultivars are at least partly self-incompatible, planting pollinator trees and introducing bees are both important for good fruit set. After flowering the nuts takes about 6-8 months to mature. Some grafted varieties of macadamias begin bearing within 2 years-3 years. A young tree raised from a seedling without grafting takes at least 7 years to fruit, while the grafted trees takes 2-3 years to start bearing fruits. The nuts turn brown when mature and one harvest by shaking the tree branches where by all mature fruits or nuts fall down. Sort out the mature nuts from the few immature which may fall down. One can also pick from the tree. A good tree can yield 45-90 kg nuts on average per year. Harvesting is usually by manual collection of the nuts from the ground or Picking from the crown-picking the fruits which have cracked or turned brown. The husks are removed and the nuts are dried within 24 hours of harvest. Failure to do so initiates undesirable physiological activity which causes fermentation and spoilage. For the production of edible nuts it is important to dry the nuts from an initial moisture content of 45% to between 5% – 1.5%. average of 6 -12 trees per grower. Annual production is about 10,000 metric tons of nuts-in-shell. These produce about 4000 metric tons of marketable kernels, making the main commercial product. Other by products such as oil, are minimal. Producers get from nuts-in-shell Shillings 1 billion per year. Kenya is the third largest macadamia producer and the second largest exporter of macadamias. Many Kenyan farmers are integrating macadamia trees into their coffee and tea plantations. They view macadamia output as insurance against the uncertainties of weather which affect coffee and tea. Japan and the United States are the 2 largest markets, together accounting for almost 84 percent of Kenya’s total exports Macadamia. It has tough thick shell which encloses a cream-colored oil-rich nut. The macadamia nuts are rich in oil (60-72%), Proteins and Carbohydrates. It is also a good source of Vitamin B1, B2, E, Fibre, Calcium, Phosphorous, Magnesium, Iron, Potassium and Niacin. The nuts can be eaten raw or used to make edible oils or confectionery or baking Macadamia is a good source of calcium. phosphorus, iron, vitamins B and niacin. The importance of macadamia nut as a tree for inclusion inagro-forestry products lies in the fact that the tree can be interplanted with other cash crops and once established, it needs minimal care in comparison to other tropical tree crops such as the cashew nuts which is confined to the coastal region only. The macadamia tree has a wider ecological suitability. The main uses for macadamia nut still remain as the kernel which is eaten as a dessert nut, in raw or roasted form, but also for making confectionery products. Soaps and cosmetics industries use the oil as a raw material. The oil press cake can be used as a livestock feed additive, the shells can be used to make charcoal while the wood also has the potential for production of hard timbers for the furniture or building. Apiculture: Macadamia pollen is very attractive to bees, providing necessary forage for honey production. 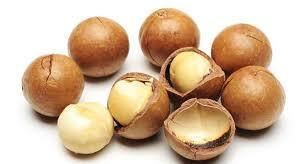 Fuel:Macadamia shells may be used as fuel, generating sufficient energy to dry wet, in-shell nuts. Tannin or dyestuff: The hulls, the green covering of the nuts, contain approximately 14% of substances suitable for tanning leather. Lipids: Macadamia is the richest oil-yielding nut known. The kernel contains more than 75% oil, suitable for human consumption. Shade or shelter: M. integrifolia/ tetraphylla makes an excellent evergreen shade and shelter due to its thick crown of leaves. Soil improver: The decomposed husk is commonly used in potting soil. Ornamental: As well as being an evergreen nut-bearing tree, M. integrifolia/ tetraphylla has good symmetrical shape and when in full bloom is covered with creamy-white and pinkish flowers. These make it a popular ornamental tree. Intercropping: Inter-row cropping can be practised with trees such as citrus or coffee or maize. Continued work needs to be done in cultivation practices and methods of propagation. For any question regarding macadamia farming in Kenya, give us a call or pay us a visit. In addition, do your own research and compare notes, this is just to help you. Macadamia nuts have many health benefits which are worth planting for. Macadamia nuts take care of your heart or they can keep you upbeat all day. These nuts are fruits of the macadamia tree which is native to Australia. They are commercially very important. Macadamia belongs to Proteaceae family of plants and it can reach as high as 40 feet but the grafted hybrid variety is shorter. Its leaves are elliptical and are usually arranged in whorls of 3 – 6. Its flowers are slender, and are about 10 inches long. Macadamia nuts are extremely hard and woody. They have a pointed apex and have 1 or 2 seeds. If you take macadamia nuts in excess amounts, then they can cause skin allergies like rashes and other allergies like coughing. If you bought macadamia nuts that are salted, then they can elevate your blood pressure. This is a reason why you should eat unsalted natural variety. In addition, macadamia nuts are good source of fiber but if you take them in excess amounts, then they can cause gastrointestinal problems like bloating, diarrhea and gas. Macadamia nuts are rich in palmitoleic acid. They can help to treat hair and it can strengthen the hair roots. When you are massaging your hair regularly with macadamia nut oil, then it can make it shiny, stimulates hair growth and it can rebuild hair elasticity. This oil can also prevent the hair breakage by penetrating the scalp and it can improve the strength of the hair follicles. Also it can control the frizz. It will hydrate your hair as well. Macadamia nuts have essentially fatty acids which are playing an important role in the skin health. It has palmitoleic acid which can hydrate the skin, support the health of cell membranes and promotes skin healing. You should apply macadamia oil to your skin because it can render a youthful glow. It is thick, but it gets absorbed by your skin very easily. It is important to know that there is some amount of palmitoleic acid which is naturally happening on our skin and as we are getting older, it diminishes. When you apply macadamia nut oil on your skin, then it can replenish your skin with this essential acid. Also this acid can delay the skin aging. It will prevent the early onset of the signs of aging like age spots and wrinkles. There are some studies in which are shown that macadamia nuts can help to relieve the oxidative stress in people. They are rich in antioxidants which can help to beat the stress as well. Antioxidants fight against the free radicals and if you have high levels of free radicals in your body, then it can lead to oxidative stress and an increased risk of disease. Also these nuts have high – quality protein but it is in small amounts. There are some studies in which are said that when we consume a handful of macadamia nuts due to their high – quality protein content, they can keep the blood sugar levels in check and they can provide a steady flow of enhanced energy and mood. Macadamia nuts have monounsaturated fatty acids which can accelerate fat metabolism. When you are consuming 3 nuts, then they can reduce your risk of metabolic syndrome. Macadamia nuts have complex carbs and they can spike your energy levels. It is known that fats sustain the energy. These nuts have some amount of iron which can help to treat the anemia and it can prevent this disease. But you should include other foods that are rich iron such as spinach. Also when you are including Vitamin C in your diet, then it can improve your iron absorption and this can help to prevent anemia. Now if you area farmer in Kenya and you want a tree that can give you money, think Macadamia. As we have seen the above benefits, macadamia nuts are highly sourced all over the world. Macadamia farming in Kenya has taken shape and farmers especially in central region have taken it seriously. 1. How long does Macadamia trees take to produce nuts? There are several varieties of Macadamia grown in Kenya. However, a grafted tree will usually start to produce in its 3rd or 4th year after planting. The common varieties include Kiambu 3 & 4, Meru 23 & 24, Taita Taveta 1 & 2, Kirinyaga 15 and Murang’a 20. Depending on your area, you should have reasonable nuts after 7 or 8 years. A seedling tree that is not grafted will usually not produce nuts until it is 7 to 10 years old. 2. What about tree maintenance? Macadamias are a low maintenance tree and will grow in almost any soil type, as long as it is not water logged. It is a forest tree native to Queensland Australia and likes a good mulch. The main pest in is the green vegetable bug, attacking the young nuts and causing black spots on the nut kernel. Long grass and seeds are known to harbor these bugs, keeping grass short or having it grazed by sheep and poultry will help. More recently the guava moth has also become a problem pest with pheromone traps and spraying the only solution at the moment. Organic growers and the majority of smaller growers take the risk of loosing some of their crop, in a bad year up to 30% by not spraying. If you decide to spray, then 3 times a season will do the job, starting 3 weeks after flowering at intervals of about 3 weeks. 3. Can macadamias be pruned? Yes, but be aware there are 2 types of trees, Droppers and stickers and pruning varies for each type. Macadamias will stand quite heavy pruning. The aim when pruning is to keep the tree to a manageable height (3 to 4 meters). Do this by cutting strong leaders out of a sticker type tree or pruning the outside of a dropper variety. This will open up the interior of the tree to light, air and bees to help with pollination, particularly because Macadamias tend to flower into the center of the tree. In short, keep the tree low and open on the inside to aid pollination and to make picking easier. Reduce multiple forks to a maximum of two to avoid the incidence of wind damage. 4. When are macadamia in Kenya ready for picking? For varieties which do not drop their nuts, the simplest way is to look at the lining of the husk after the shortest day of the year. When the lining has turned deep brown, to about the same color as the nut inside, the crop is ready for picking. Depending on the weather and position of the trees this can be as late as April. Beware, trees can drop (abort) quite a lot of nuts if stressed by drought, these nuts will be immature and can be mistaken as ripe. Below are a few things you should do after picking. However, in Kenya most companies will buy the nuts while still at the tree and they will carry them to the processing plant. Remove the husks preferably within 24 to 48 hours of picking. Bag the fresh nuts in 10kg onion sacks and hang them in an airy and shaded position (open carport is ideal), for a 3 month minimum. Hang them out of the reach of rats and mice who love chewing through them. During drying the nuts will loose about 15% of their weight. Larger or Commercial growers will tend have a drying room with heat up to 350C lots of air movement and dehumidifiers operating. Once dry, store them on or near the hot water cylinder for a minimum of 3 weeks. The additional weight loss after this drying will be approximately 10% (a dehumidifier can be very helpful). Larger growers will have dried them to below 3% moisture in their drying rooms ready for cracking as required. Once fully dry and ready for cracking (less then 3% moisture) . The kernel will ideally be rattling in the shell and above all, will be crunchy and sweet. The above process is meant for those who plant macadamia for own consumption. However, commercial macadamia farmers who intend to make money sell their nuts to companies such as Jungle nuts, Sasini, Kakuzi etc..
6. Do macadamias nuts last long? All nuts deteriorate over time, however macadamias ‘in shell’ will last for a couple of years in a dark, cool and airy place. After cracking, the kernels will last for about six months if kept in an airtight and moisture proof container. Larger growers with vacuum seal kernels or Nitrogen purge and pressure seal bags to keep the kernels fresh for a considerable time. If you have any other questions about macadamia growing please contact us and we will do our best to help you. 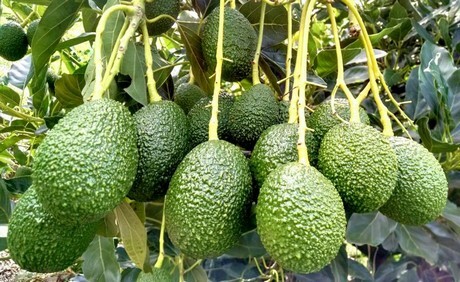 Jungle Nut Holdings Limited, a Thika-based firm is offering better prices to avocado and macadamia farmers in Kiambu and Murang’a counties. Jungle Nut Holdings Limited also provides financial support and agricultural training. Speaking during farmers’ organic and e-buying workshop at a Thika hotel last year, J-Hela accounts manager James Kimotho said middlemen and brokers have been exploiting farmers for a long time. Kimotho said farmers will be paid Sh120 per kilogramme for macademia nuts. Brokers had paid Sh30 per kilogramme. Kimotho said that Jungle Nut Holdings Limited will collect the nuts from the field to relieve farmers of the burden of transport cost. The firm has introduced a mobile banking platform — J-Hela. Farmers can save money, borrow money and buy products. Kimotho said the firm has developed a business model with the farmers for commercializing of both macadamia and avocados farming. Jungle Nut Holdings Limited guide farmers on the best farming methods to ensure they get high yields. The firm has also created a marketing plan based on comprehensive study of global markets. Stephen Waweru, a macademia farmer from Gatanga, Murang’a, said since he entered into partnership with Jungle Nut in 2014, his production has risen from 100kgs to 500kgs annually. “We used to hear macadamia nuts fetch high prices, but we never made handsome profits because of brokers. We did not have direct markets. But Jungle Nut came to our rescue,” Waweru said. Many farmers in the region are now switching to macadamia and avocado. Coffee and tea farming is not paying, he said. Bernard Mwangi, an avocado farmer from Muruka, Kandara, said Jungle Nut introduced the Hass variety and taught them how to grow them organically. Mwangi said farmers’ lives have improved. Kimotho said the company has expanded to other counties, including Embu. Many more farmers now are venturing in macadamia farming. For more information on macadamia farming and avocado farming call us or visit our offices.